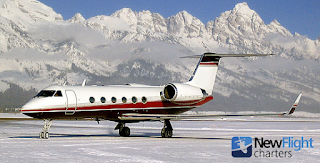 Jackson Pricing Specials | To/From Jackson | Charter News! We hope your February has been good! I wanted to make you aware of terrific pricing specials coming up To / From Jackson Hole through the end of March, listed below. We're happy to help with quick estimates, emtpy leg availability or an array of quotes customized for your desires and guaranteed for best price in the market. I hope we can help with any information. Jackson Hole special availability and pricing is below, rates are approx. 50%-70% normal charter rates. More and details on the Jackson Hole Specials page. Others are available; put our industry-wide reach to work for you. More and details are listed here. Thanks to you, in an industry reportedly up 3-5% in 2016, New Flight Charters had an 8.2% year-over-year increase in number of charters through year end. Our growth continues; number of clients, number of charters, and also our staff as we added decorated US Air Force officer Mark Baroni. Last year we also received an A+ rating and Accreditation from the BBB, to add to New Flight Charters' credentials. Wishing you the best, your local team is standing by! Headquartered in Jackson Hole, WY, celebrating its 13th anniversary in 2017, rated A+ by the BBB, and named to the Inc. 500 four consecutive years, New Flight Charters has arranged over 12,000 private domestic and international flights with top-rated aircraft, its Best Price Guarantee and a perfect safety history.